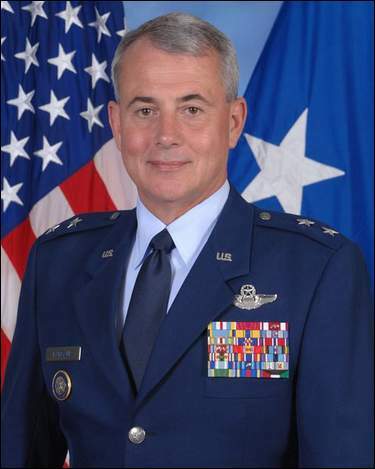 An Air Force Reserve brigadier general with local roots and past service at Barksdale Air Force Base will receive his second star at the base Friday. Jack W. Ramsaur II will officially become Maj. Gen. Jack Ramsaur in the 2 p.m. ceremony at the base officers club. Ramsaur, who grew up in Ruston and who now flies for FedEx in his civilian career, spoke to The Times taking a crew bus between his airplane and a terminal somewhere on the routes between east and west. He is mobilization assistant to U.S. Marine Corps Gen. James Cartwright, commander of United States Strategic Command at Offutt Air Force Base, Neb. Cartwright, recently nominated to be vice chairman of the Joint Chiefs of Staff, will pin Ramsaur’s new stars on his shoulder at the Friday ceremony. Ramsaur began his Air Force career in 1974 through the Air Force ROTC, and his first station was Barksdale. Here, he was a KC-135 pilot and simulator instructor for the 71st Air Refueling Squadron, followed by service as a pilot and evaluator with the 78th Air Refueling Squadron. After service at McGuire Air Force Base, N.J., he was a squadron commander at Tinker Air Force Base, Okla. He later served in command staff slots at Air Force headquarters at the Pentagon, and at Randolph Air Force Base, Texas, Seymour Johnson Air Force Base, N.C. and at Offutt. The 55-year-old father and grandfather is a command pilot with more than 5,300 hours in the Boeing 707 and 727 and McDonnell Douglas DC-10 civilian jetliners and in the military’s E-3, C-18, KC-10, KC-135A/R, T-37, T-38 and T-1 aircraft. A BS and MA graduate of Louisiana Tech University, he has received the Legion of Merit, the Meritorious Service Medal with two oak leaf clusters, the Aerial Achievement Medal, the Air Force Commendation Medal, the Air Force Achievement Medal with one oak leaf cluster and the Defense Superior Service Medal. Ramsaur was one of seven brigadier generals approved for promotion to two-star rank in January by President George W. Bush. Nine reserve colonels were approved for promotion to brigadier general. All were subject to confirmation by the U.S. Senate.